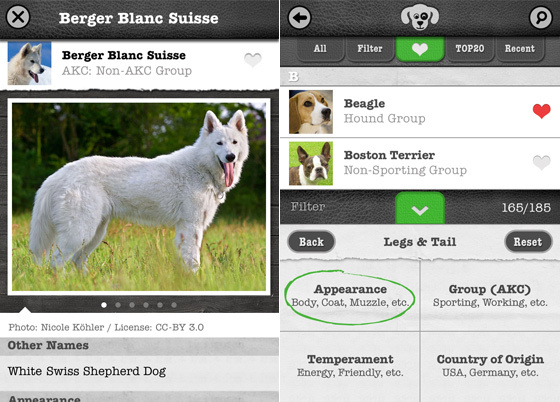 iKnow Dogs is elegant and easy-to-use dog breed reference guide. 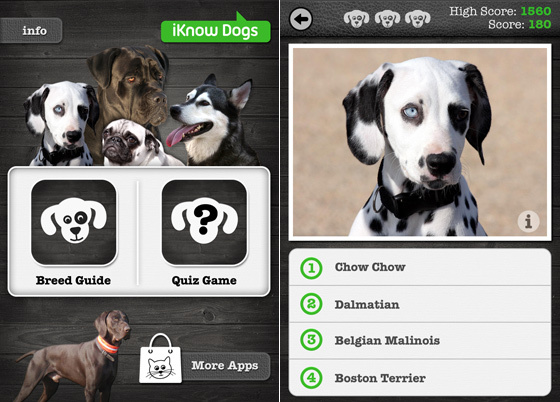 With iKnow Dogs, users can identify dogs, for example, by their look, purpose, temperament and origin. Read interesting information and facts about all dog breeds recognized by the American Kennel Club (AKC) and learn about many other fascinating breeds; browse more than 1100 pictures of dogs and puppies; find the perfect dog for you and your family! Or find the biggest, friendliest, most energetic, or any other dog that you like! You want to know celebrity dogs? What about “Bo” Obama, “Tinkerbell” Hilton, “Butkus” Stallone, or “Koni” Putin and many others?! What about your favorite dog in popular culture, such as comics, movies, and arts? What about Scooby Doo, Stephen King, Pablo Picasso, and many more. 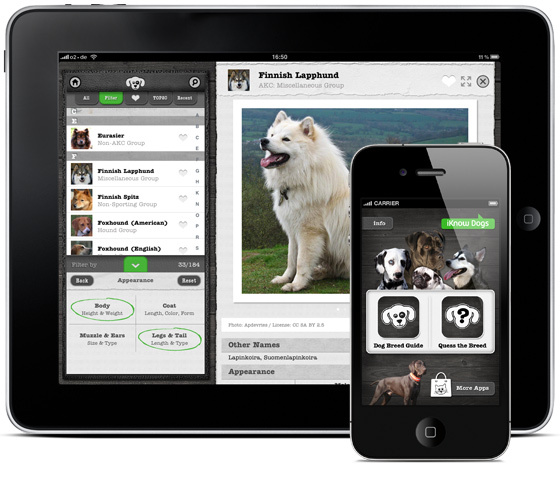 Would you like to see your dog in iKnow Dogs app?! Please visit iKnowDogs.net website to submit pictures. Every serious, curious, cute and hilarious picture is highly appreciated and will be considered for future updates. TOP20 most popular dog breeds in the U.S.